When Eleanor first meets Park, she thinks he's obnoxious. When Park first meets Eleanor, he thinks she's weird. It is hate at first sight. But as they suffer each other's company in silence on the bus rides from and to home every day, Eleanor and Park realise that first impressions can be deceiving. Eleanor and Park is probably the best loved YA love story around, at least on the internet anyway. Because of this, I feel there is a whole lot of hype surrounding Eleanor and Park , and that’s not necessarily a good thing. I went into this book with such high expectations that it just couldn’t live up to them. 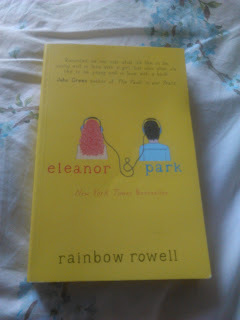 However, there are tonnes of things Rowell did perfectly in this book, and it is one of the better YA books I’ve read. Couples in YA novels usually follow a formula, the cool kid, who is really just misunderstood, falls in love with the Manic Pixie Dream Girl. One of them is conventionally beautiful and everyone knows it, and one is secretly beautiful and discovers it throughout the narrative. Thankfully, Eleanor and Park did not follow this formula. Both Eleanor and Park are remarkably regular people, neither of them are attracted to each other when the first meet. Both of them represent groups of people who seem to fall below western society’s standards of beauty, Eleanor is plus sized, Park is half Korean. Neither of them find themselves attractive and they struggle to deal with their relationships with their bodies. Neither of them turn out to be secretly beautiful, instead they find someone who thinks they are beautiful just the way they are. Through her protagonists, Rowell shows that it is not only conventionally beautiful people that fall in love. Eleanor and Park find each other perfect because they are in love with each other, not the other way around. I found it a breath of fresh air to see two regular people falling in love, but their relationship is hindered by their lack of self-confidence and low self-esteem. Neither of them , especially Eleanor, can believe that the other loves them, but it was heartwarming watching Eleanor and Park grow to appreciate themselves and grow in confidence over the course of the novel. Bullying plays a huge role in the narrative of this book. Both Eleanor and Park are considered outsiders, Eleanor is ridiculed for her size and fashion sense, while Park keeps his head down and feels alienated because of his Korean heritage. Of course none of this is very original, but bullies tend to be very unoriginal in their mockery. Characters like Eleanor and Park are horrendously underrepresented in YA , I don’t think I’ve ever read a YA book (apart from this one) with a person of colour or a plus sized person as the protagonists, which is a disgrace really. Teenagers come in all shapes , sizes and races, so why do they all seem to be skinny white girls or buff white guys. It was a relief to read about someone different for once, and I’m sure thousands of readers around the world appreciated finally being able to relate to these characters. Unlike in other YA books, the bullies are slightly more complex. Bullying in real life is not a black and white affair, there is a lot of grey area, and while the bullies do give Park and Eleanor a hard time, they reveal themselves to not be all bad. Rowell also deals with race and the struggle that Parks goes through coming to terms with his biracial identity. Park’s father is from an old , respected white family, and Park’s mother is from Korea. Park really struggles to reconcile his Korean heritage with his white heritage. He realises that because his father’s family is so well respected in his hometown, he gets cut a lot more slack than he would have if he wasn’t half white. Park also struggles with his embarrassment of his mother, she speaks and acts differently to the other mothers, and Park can’t understand how she still hasn’t lost her korean accent after years of living in America. Through Park we are given a taste of someone struggling with their racial identity, but I feel like she could have taken it a lot further. This topic is not something I’ve read a lot about, and I would have been very interested to read more about it. 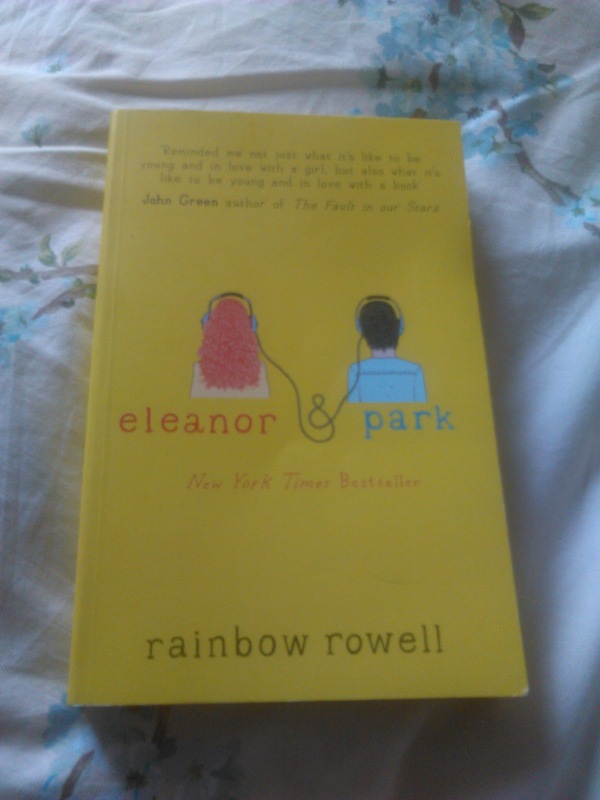 Eleanor and Park’s relationships with their parents play a huge role in this novel. Normally in YA fiction, teenagers’ relationships with their parents fall by the wayside, which is ridiculous because your relationship with your parents plays a huge part in your formation as a human. Park has a strained relationship with his father. Eleanor is frustrated with her mother for staying with her waste of space step-father, and resents her father for abandoning her and her siblings. However, the most harrowing relationship is between Eleanor and her stepfather Richie. Richie is a irrefutably terrible person, he treats Eleanor’s mother and the children appallingly. But Richie has a drinking problem, and I wonder how much blame we can put on him and how much on his addiction. The contrast between Eleanor and Park’s parents romantic relationships are stark. Park’s parents are still very much in love after many years of marriage, while Eleanor’s mother only stays with Richie because she is afraid to be alone. Obviously Eleanor and Park is set in the eighties, so an awful lot of the plot revolves around the couple making mixtapes for each other, talking about eighties music on vinyl and trying to navigate the landline as their only form of communication. These details really gave a sense of setting to the narrative and made me feel a little nostalgic for time I’ve never experienced myself. Overall I would recommend this book to everyone who reads YA fiction. In a genre filled with clichés , Eleanor and Park is a breath of fresh air. It’s a truly engrossing read that will break and warm your heart.